It looks like a cheesy tourist photo on Golden Gate Bridge with people I know, but to be honest I have no idea who these people are. I don't even know their first names, but I want to draw your attention to the orange arm band he's wearing - he’s a ‘Bridgewatch Angel’. Bridgewatch Angels are volunteers who give their time to walk up and over the bridge, watching for and reaching out to people who are sad, lonely and contemplating jumping over the edge. It’s an act of kindness that may just save a life. It was the 1st of January - end of the holiday season and (apparently) a bad day for the sad and lonely. You may think this is macabre, but I found it quite beautiful. Every angel we passed either smiled or wished us a Happy New Year. Some posed for photos, some were chatting with tourists and others shared their lunch together in the sun. There was a community of kindness on the bridge that day and I lavished in their joy. I had felt down all week. Christmas had felt lonely and contrived, being so far away from our friends and family. 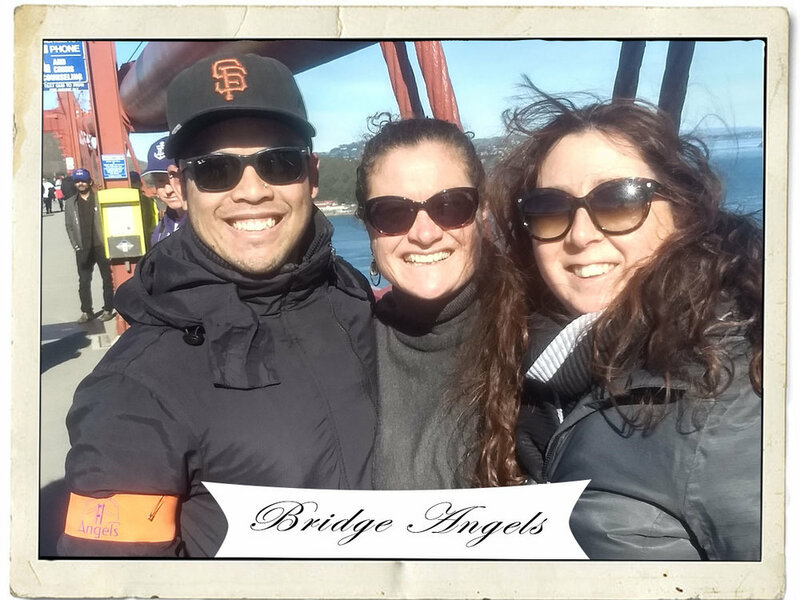 The Bridgewatch Angels were beautiful and their purpose inspired hope. They helped me to see there was much to be grateful for. Not a wisp of fog or cloud, the sun was weak but warm and we had friends with us who have been our buddies for more than 20 years. It really was a glorious day. interested to know more? 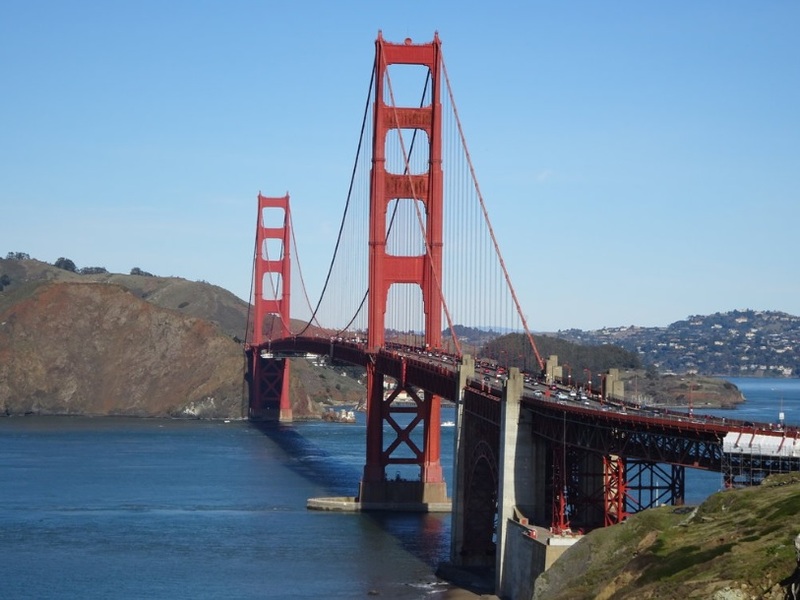 follow the bridgewatch community here. i do.